The new Scottish Conservative MPs have called on Nicola Sturgeon to “end her denial” and “face up to the reality” Scotland does not want another independence referendum. In a joint statement, they also warned unless she got “back to the day job”, Scots would “continue to pay a high price”. 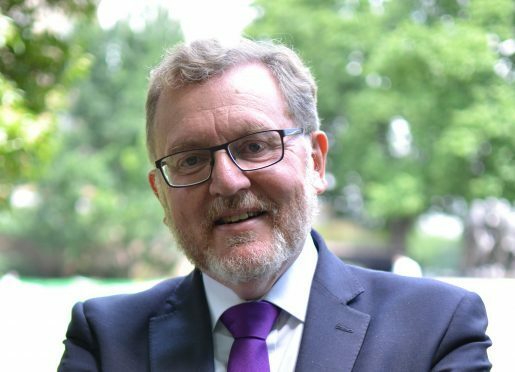 It came after Scottish Secretary David Mundell introduced the group at Westminster yesterday. The Tory frontbencher joked he had waited 12 years for a colleague and then 12 had come along at once. While Theresa May had a disastrous night at the polls, the Scottish Conservatives exceeded expectations, increasing their tally from one to 13. Among the new MPs are five representing constituencies in the north-east, where the party did particularly well. Douglas Ross beat SNP deputy leader Angus Robertson in Moray, while Ross Thomson ousted Callum McCaig in Aberdeen South. The SNP’s Eilidh Whiteford lost her Banff and Buchan seat to David Duguid, while West Aberdeenshire and Kincardine went to Andrew Bowie and Colin Clark toppled former first minister Alex Salmond in Gordon. In their statement, the group accused Ms Sturgeon of focusing “solely on independence” since June last year and “how she can force a second referendum on Scotland”. It added: “During that time, we have seen the damage it has caused. It has created uncertainty, damaged prospects for Scottish business and held our economy back. “It has been the first and only priority for her government – with a high price paid by people across our country. It described the general election result as a “damning verdict”, insisting the prospect of a second poll had alarmed “the majority of Scots who do not want to face another painful period of upheaval and division”. It continued: “Unless we present a united front to the EU, Nicola Sturgeon will disrupt our negotiations, and unless she gets back to the day job, Scotland will continue to pay a high price. “She needs to end her denial, listen to what the people of Scotland have said and face up to the reality. The SNP won 35 seats and remains the largest party north of the border.